[$420,000] - According to court documents, longtime Trump lawyer and fixer Michael Cohen invoiced the Trump organization for that dollar amount last year, seeking reimbursement for "services rendered." He got paid. It's now alleged -- by Cohen and the feds -- that Trump approved this scheme, under which two women's silence was effectively purchased via a direct payoff and a "catch and kill" maneuver executed in coordination with Trump's allies at the National Enquirer tabloid. Cohen facilitated both exchanges. 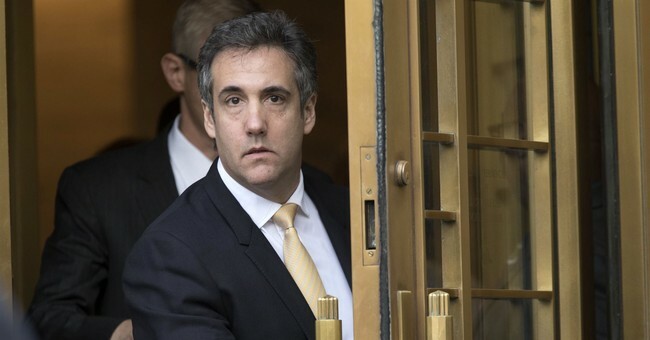 Now Trump's ex-attorney has pleaded guilty to eight charges, including campaign finance violations in which he's directly implicated the president. The chief executive of the Enquirer's parent company has reportedly accepted an immunity deal, and is prepared to attest that Trump knew about the arrangement, something Team Trump has denied at various stages of this controversy. Also granted immunity is the CFO of Trump's own firm, another significant development. As such, an emerging, burning political question is whether all of this information, if confirmed, amounts to impeachable offenses by Trump. Here's a useful summary of the legal issues currently in the mix. For his part, Trump says "flipping" on associates should be illegal, which would basically handcuff government lawyers attempting to prosecute drug cartels, organized crime syndicates and terrorist rings -- a highly unusual stance for 2016's self-professed "law and order" candidate to espouse. As usual, Trump's ethics are situational and his arguments are plainly myopic and self-serving. Still, we remain a good distance away from serious impeachment talk, and we may never get there. Democrats are split on whether to openly discuss that prospect at this time, or to wait until after the midterms; but almost none of them are pretending it'll never be on the table at all. Overall, it was a bad week for the president, prompting him to take yet another frustrated shot at his Attorney General, eliciting a fairly stern retort. Dramatic times. As I wrote on Wednesday, the Manafort developments mean one of three things. Option one: He's got nothing of substance on Trump, so he'll simply go to prison for his (pre-Trump campaign) crimes. Option two: He'll get pardoned by Trump, igniting a debate over whether the president did so because he genuinely felt Manafort was treated unfairly, or because he wanted to reward his former campaign chairman's silence. Option three: Staring down the barrel of an effective life sentence, Manafort decides to sing to a leverage-flush Robert Mueller. Very few people in the world have any clear sense of which outcome is most likely, so cue the rampant speculation. If you're tempted to believe this is a good-faith line of argument from Schumer, look no further than this flashback reminder that the minority leader also urged postponing the Gorsuch nomination over...the Russia probe. The Judiciary Committee Chairman has rightly rejected this unserious "demand" -- with the Majority Leader McConnell not only confidently predicting Kavanaugh's on-schedule confirmation, but also forcing the Senate to stay in session for another August week to move on a slew of other Trump nominees. On this front, McConnell has been playing laser-focused hardball since Trump was inaugurated. [Four-to-Seven] - The body of University of Iowa student Mollie Tibbetts was discovered a few days ago after weeks of futile searching. She was allegedly murdered by an illegal immigrant back in July. Federal authorities say Cristhian Rivera has been living in the United States unlawfully for between four and seven years; Rivera's lawyer has attempted to claim that his client is a legal immigrant, but both DHS and Rivera's one-time employer say otherwise. Politicians have jumped into the fray on this tragic case, with many immigration restrictionists saying that it illustrates the need for more border control and enforcement. Some figures on the Left have sought to downplay the story: Sen. Elizabeth Warren almost immediately pivoted to talking about family separations at the border (Tibbetts, a US citizen, was permanently separated from her family), a CNN contributor asserted that Tibbett's' death has everything to do with "toxic masculinity," and nothing to do with illegal immigration, and an MSNBC guest dismissed the story as a Fox News obsession over "some girl in Iowa." After mass shootings, liberals often proclaim that the horrible events justify an immediate and emotional debate over gun control, while conservatives urge perspective and caution against politicizing people's deaths. This week, those roles were largely reversed. I grant lefties' points that evil comes in all shapes and sizes, that many statistics show immigrants are less likely to commit crimes than native-born Americans (certain data points cut in the opposite direction), and that it's unfair to blame an entire group of people for the actions of outlier monsters. I wish they'd apply those same lessons and appeals to dispassionate data to the gun control debate. Also, it's entirely possible to decline to smear all illegal immigrants as violent criminals while also being righteously furious that once again, an innocent American citizen has been slaughtered by someone who should never have been in our country. We've seen numerous stories about illegal entrants, some of whom have been deported numerous times, committing brutal crimes within our borders. That's not acceptable, full stop. Partisans who deflect, make excuses, or lash out at the many Americans who are irate over Tibbett's' killing are contributing to the reason Trump won. The end, it appears, is near. The thoughts and prayers of our nation go out to the McCains.